As part of the first Plymouth Art Weekender Bureau Doove presented work by Alison Ballard, Mike Blow and Driftingspace (Sally Hall and Jason Hirons) at the wonderful location of Devonport Guildhall. 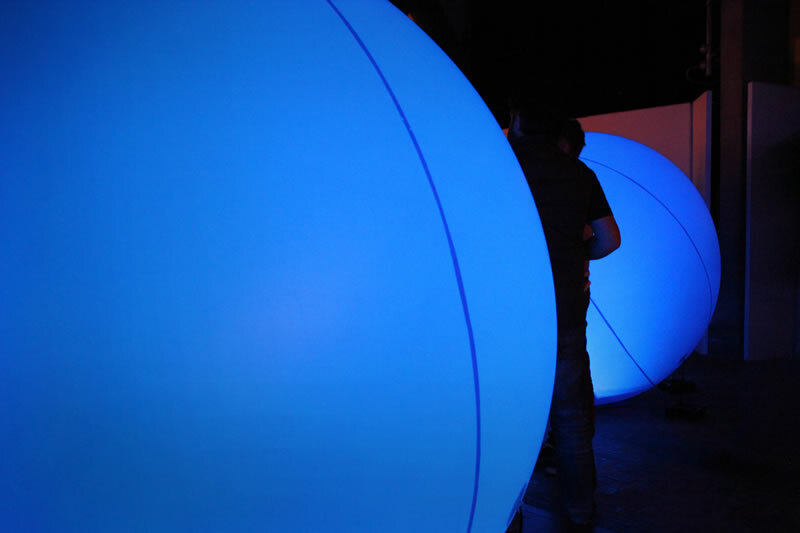 The tactile sound sculpture POD (2009) by Alison Ballard and Mike Blow consists of two giant blue inflatables. The speakers inside of these hum and vibrate with pulsing low-frequency sound. Audience members are encouraged to place hands and ears on the inflatable to feel and hear the sounds coming from within. POD uses audio to bring a new meaning and potential to inanimate objects. The sound changes our perception of the objects by creating a new hybrid audio/physical artifact. POD was earlier exhibited at the Whitley Arts Festival, Reading (2013) and the London Barbican (2014). 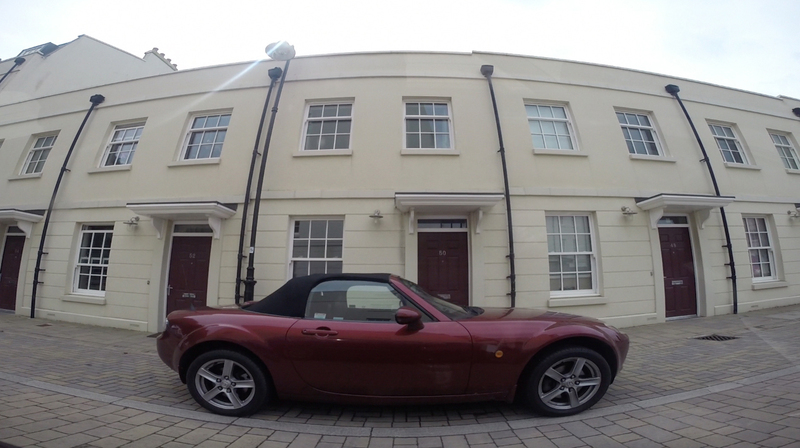 The films by Driftingspace explore the new landscape and skyline of Devonport, in the context of the Georgian, Regency, and Victorian architecture it interrelates with. 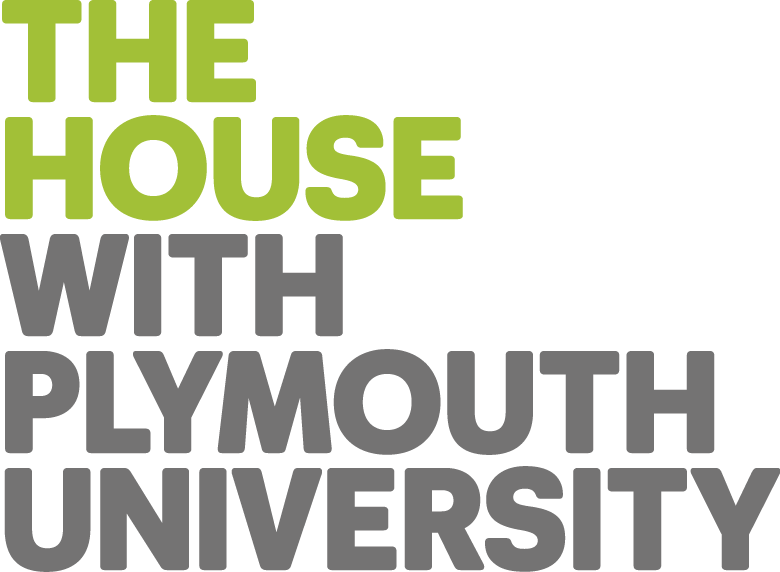 The films are discursive, playful ways of discussing what regeneration means to a part of Plymouth that was once the largest town in Devon, but in recent years has fallen into disrepair, dystrophy, and decay. Today Devonport has regained a sense of pride in its history, and hope in its future, and the films will seek to unpack the myriad narratives that can be seen whilst traveling through the area. Alison Ballard works across disciplines to examine our perceptions and experiences of sound, space and the moving image. Investigating psychoacoustics, neurology and infrasound, she aims to give a physical presence to an intangible medium. Mike Blow‘s artistic practice spans sound art, interactive art and performance, and is an on-going exploration of his interests in electronic creativity, the study and modelling of natural processes and the artistic possibilities offered by intermedia spaces. It is about reading a city through ideas of architecture and the built environment, displacement, entropy and the ephemera of the city space. The experience of walking/driving through it, the transitional spaces and how urban planning schemes address the non-places in the environment.